Thanks for giving our website a peek. This page is about our warehouse for our customers who need trustworthy, reliable and affordable used Subaru engines for automobiles. By the way, if you're not looking for a used Subaru engine, but a used auto engine for a different make and model, that's okay. We have them all. Right now you're probably wondering how much for a used or rebuilt Subaru engine and why there are no listed prices on this page. Sometimes we do, but we'll tell you: It costs more and it isn't always accurate. Don't buy into thinly veiled bait and switch tactics by others' expensive marketing schemes. Yeah. We have no desire to mislead you. Much (paid) manpower is required to maintain updated prices online within a rate of sales involving more than 16,000 units in our warehouses. That's not only expensive for us, it means you would pay more. Our customers demand truly reliable engines, but only at great prices. We're betting you'd be pretty happy to get a great price, too. Call. Or email. We'll let you peek at that price without making you feel terrible if you're not ready to buy. We'll even give you the price on an engine that actually exists. The call is free. The service is free. 1) When calling, have your Subaru's VIN readily available. 2) We'll need the shop address, too. 3) Which mileage Subaru's used engine are you looking for. It takes very little time to find out the price. 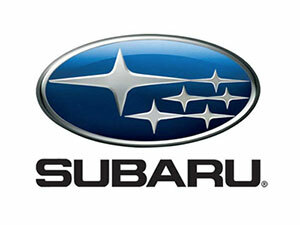 Don't forget to check on the price on a remanufactured Subaru engine that can really boost the longevity of your car. We're not trying to up sell. We just want to make certain you get the performance, price and longevity you really need. The performance depends upon your real goal. The fact is, you have expectations. Your expectations may be different than any other driver or Subaru owner. What you may want is for your Subaru to last another one and one-half generations. Hey, that's decades. Of course, you can obtain a warranty, but if you're needing your Subaru to run for another twenty years with routine care, a warranty isn't the fit as they don't last for twenty years. It is possible to find a used engine with very low mileage, as in new, that can be dropped into your vehicle. Yes! But you need to call and let us look. We always do this FIRST. Sometimes, these are more expensive than rebuilt Subaru engines. Sometimes, not. We have every intention of meeting your needs at the lowest cost possible. And, as we've already explained, we stand ready at the financial battle ground for all our customers. Now, they expect it. Auto parts after we listen to you, we get to work on matching your expectations. Our activities of cost-cutting doesn't stop at this website. Our simplified online sales is a direct result of a business enterprise designed toward sustainable operations with simple prices on only the best of the best used engines on the market. Most of the time, the engine you need is ready to ship out Fast to the shop of your choice. It's like we've been bargain hunting engines for 30 years on a daily basis to your benefit. We're a family-run business without stakeholders or greedy board members to satisfy. We are only accountable to each other in diligence and to our customers. In addition to all this simplification, you can expect to receive a 100% money-back guarantee on your engine. Yeah. That's right. 1) Great Subaru auto engines for sale. 2) Great Subaru auto engines at great prices. 4) Decades of used auto engine experience.